Golf Tips, We Don’t Need No Stinkin’ Golf Tips! If you scour the internet for golf tips, 150,000,000 searches appear in 0.41 seconds. Now, I am an avid golf fan and enjoy increasing my knowledge about my favorite sport; but really, 150 million hits for golf tips! The challenge is to sift through all the white noise to figure out which tip is best for us! This process empowers me to move forward when faced with many challenges. In 2015, I did have the arsenal required to really improve my golf game and lower my scores. So, I have decided to fix that short fall starting next week. I have decided my way ahead for the my winter golf project. 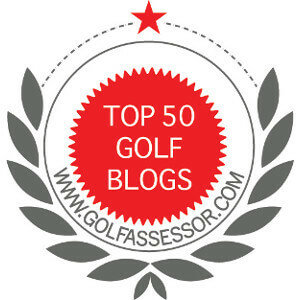 I am going to write on article a week on golf tips. Not my normal, this is the way The Grateful Golfer does it, but a review analysing tips I find while researching golf. I hope to provide a video with each article, but that will depend on the tip that I find. I cannot guarantee that each tip will be useful to you, but I suggest that it will broaden your library of golf resources that you can tap into at a moments notice. I think that this project will be fun and beneficial to everyone. If nothing else, I look forward to learning new golf tips that will help me reach my goal as a scratch golfer! What do you think? Any suggestions on which tip should be researched first? ← Golf Tip: Keeping your Head Still! The question I have always asked myself is simply this – is a tip what I need or lessons. I decide to take lessons when I moved to Florida and I decided to try and get fitter. My scores got worse but I got fitter. My scores are trending back in the right direction. My fundamentals are better than they have ever been. . I just have to stop doing things the old way and keep doing them the new way. I guess a tip is a form of a lesson. But I have found many people think a “tip” will solve all their problems. I see your point! However, to me, the difference between a tip and lessons is the magnitude of the change. Generally a lesson creates a larger change to your swing than a tip. But, it is a matter of perspective. I am glad to hear that your game is going in the right direction. Getting fitter will have many benefits not just for golf. Thanks. I agree that tips do work better for lower handicap players. But, we should never let our ego get in the way if our swing goes off the rails! As you mentioned there are so many out there and you could speculate if this tip or that tip would/could work. What I would find interesting is tips that you have personally tried and experienced success or failure with. Steer us to the good ones and away from trouble. Brian, I agree. I will definitely go in that direction. The winter is a bit harder here, but fortunately I have a basement I can use. Thanks for the feedback.